Dear students, please apply revaluation photocopy before on 10-06-2018. And you can paid on amount through online and offline mode only. Here we can give details between online and offline. Address : Indian Bank, DOTE Office Branch, Chennai. Go to your exam cell (Polytechnic and diploma colleges). ü If the students are not satisfying tndte result October 2018 exams only. ü First a candidate should be applying revaluation bravely. ü Then you should be finalized and confirmed revaluation applying procedures. ü And a student must be read revaluation procedures (Including terms and conditions). ü Finally they will apply scanned copy phase 1 on your colleges. ü First students are paying 100 rupees on your photocopy paper (duplicate paper). ü Then you will pay 400 rupees on your exam cell. 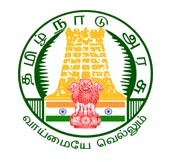 ü Finally, the revaluation result is coming from www.tndte.gov.in site. ü If you have any doubts please mail us intradote@gmail.com. Our Team will be replying your questions.